Lisbon is the capital and the largest city of Portugal that lies in the Western Liberian Peninsula of the Atlantic Ocean and River Tagus. Lisbon is an alpha global city with great importance in finance, Commerce, media, entertainment, art, education, international trade and tourism. The long coastline along the Atlantic Ocean with the River Tagus is a cool and beautiful environment that you should consider for your next day trip from Lisbon. Be ready to be marveled by Romanesque, Gothic, Baroque, Modern and Postmodern architectural construction found all over the city, several museums across the city will give you information on the history and the best of art in the city. In case you consider visiting Lisbon on your next vacation, this article will offer you the adequate information you need to make the most of your Lisbon day trip, giving you full details on the best attractions sites around the country. If you are considering having the best of times on your Lisbon day trip then outlined below are some must-visit locations for you. 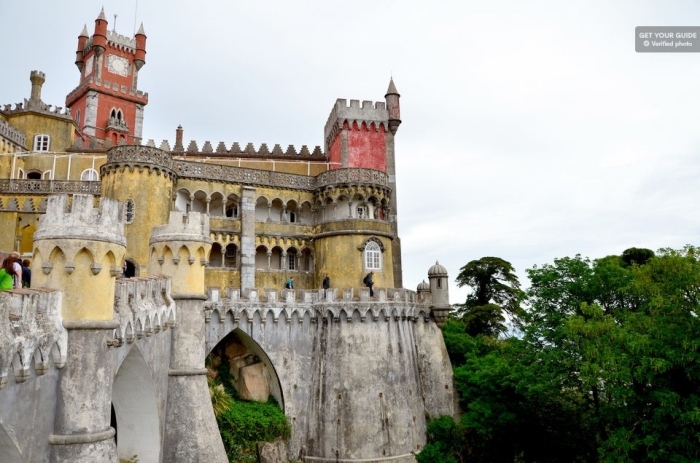 Lots of attractions awaits you on your Lisbon day trip as you pay a visit to the Pena Palace –Sintra referred to as Palacio de Pena in Portuguese. This beautiful Romanesque architecture of the 19th century is one of Portugal’s finest and main tourist attractions renowned for its luxuriously painted terraces, decorative fortifications, mythological statues and the fascinatedly decorated interior that stands out as one of the best you can find in the world. 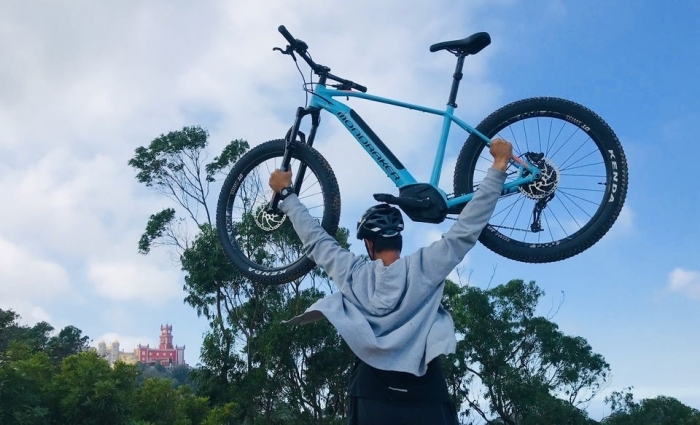 Visit to the Palacio de Pena is one of the best experiences you are likely to have in your Lisbon tour, the Palace being sited at a high point of Sintra up to about 480metres makes it a very good environment for uphill hiking especially from the Historic center of Sintra which is about 150metres lower. Finding your way from Lisbon on your day trip is quite easy, you can take a bus, train or hire a car, but because of traffic and parking spaces, it is recommended you travel by train. The flamboyant complex called Pena palace tops the main attractions at Sintra, it gets crowded with visitors all year round especially during the summer months. For a better chance to best explore the palace, avoid visiting between the hours of 11:00 – 12:00 and 15:00 – 16:00 when the day trippers and the coach tours arrives. 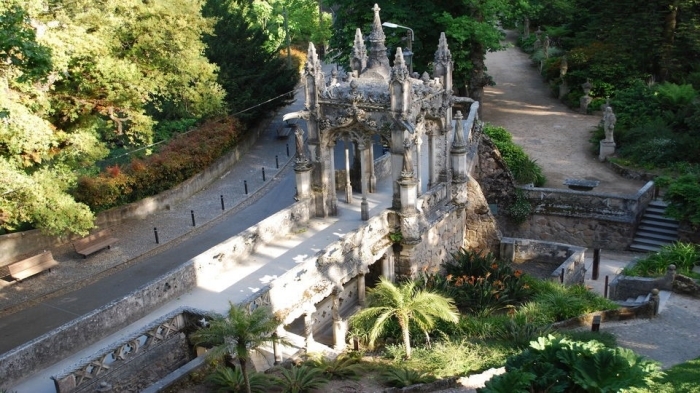 Your visit to Palacio de Pena should also afford you the opportunity to explore the forested park lands that surrounds the Palace with artistic sculptures, hidden pathways and for the stunning view of the palace that it provides. Cabo da Roca, just 40km away from Lisbon is the one of the location to visit if you are to have the best of Lisbon tour experience. I will recommend you hire a car in other to have an easy and convenient day, don’t be scared of getting lost driving, the streets and highways are well signed and goggle map can also be of help. Exploring Cabo da Roca on a private car trip gives you the opportunity for a stop-over on one of those breathtaking landscapes that characterize the region to observe and take pictures. The lighthouse of Cabo da Roca is the Major attraction of the region, it tower stands 22metres tall with light that command a 165metres beam of light seen 46km away. Apart from the gigantic tower, its complexes is made up of nine buildings where valuable equipment are store and where acetylene that power the light are produced prior the electrification. Your visit to Cabo da Roca headland is marked will gives you the opportunity to see the Stone monument with inscription from the famous Portuguese Poet Luis Camoes that describe the area as “where the land ends and the sea begins”. 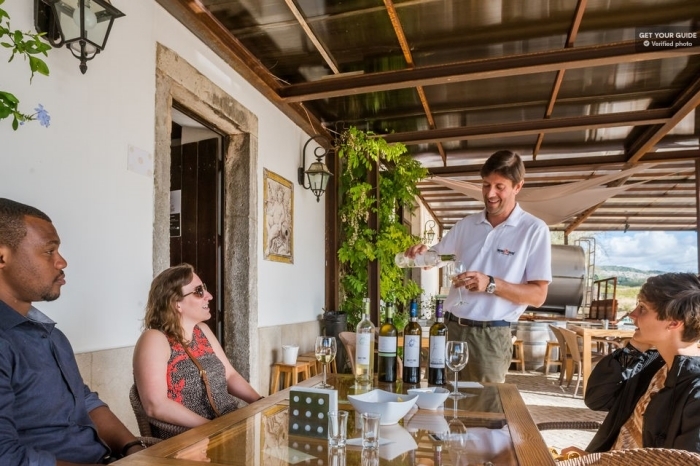 The best of Portuguese restaurants and cuisine in Cabo da Roca offer delicious local and continental dishes you can stop over for a meal, Places you can stay at Cabo da Roca are Penha Longa Resort, Hotel quinta da Marinha Resort. Enjoy a hassle free tour with skip-the-line access. 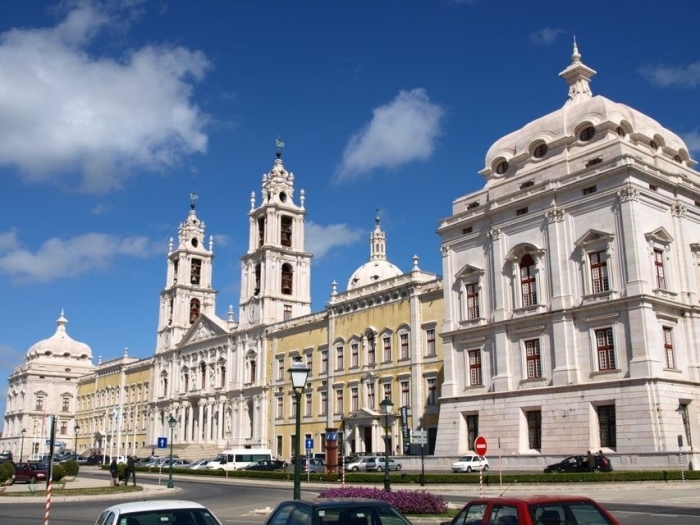 The city of Fatima is another must-visit location you can visit on your Lisbon tour for an opportunity to explore the famous Sanctuary of Our Lady of Fatima built at the spot where Virgin Mary appeared to three Sherperds; Lucia, Francisco and Jacitna. It was reported that many miraculous signs was associated with this location after the appearance of the Virgin which leads to the building of the World class Sanctuary that now commands large crowds ranging from religious Pilgrims to other tourists daily. The city of Fatima is renowned for its series of attractions that will give you that mind-blowing Lisbon day trip experiences. One place you must visit is the underground cave of Gruta de Moinhos Velhos, this site will help you appreciate nature as you observe breathtaking colorful lights emerge from the magnificent rocks at the base of the cave. The Serra de Aire visit offers you the chance for a photo on a Dinosaur footprint in person and a hike through the Natural Park. Also take time out to visit the museum at the home of Jacinto and Francisco Marto, the Sherperd whom the virgin appeared and end your trip with a sumptuous meal at Tia Alice restaurant. See the romantic village of Óbidos, known as the "wedding present town"
Saint Jerome’s monastery referred to as “Jeronimos Monastery” is another location you should head to for a wonderful art experience in your Lisbon tour. The monastery is classified a UNESCO heritage site and stands as one of the most prominent examples of the Portuguese Gothic Mauelino architectural style in Lisbon built in 1400’s. The tomb of the world renowned sailor of Vasco da Gama sculpted by Costa Mota in the 19th century is a must-see, the neo-Manuelino style architectural masterpiece that reveals the history of Portugal as a result of the role the sailor played during the period of discoveries. The numerous beautiful paintings and sculptures around the monastery are there to give you the best of art on your Lisbon day trip. Walk through the vast 55 × 55m cloister to explore the mind-blowing architectural masterpiece that the walls and inner courtyard expresses. Through the wealth of Manuelino designs, as well as European renaissance architectural style coupled with Spanish architecture. The church of Santa Maria is another place to explore, it has two main portal; south and axial with exquisite features including the ornamentation in front of alter and the richly decorated pillars and ceiling. 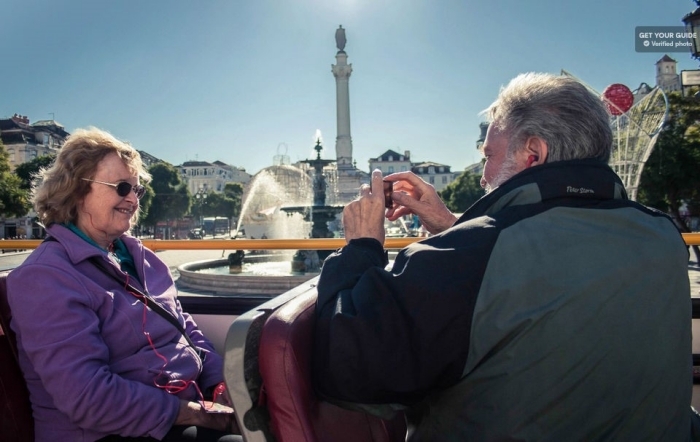 Check here, Tripindicator unbiased Comparison of Lisbon hop on hop off bus tours. Consider taking a day trip from Lisbon to Sesimbra, a picturesque fishing port lying at the foot of the Arrabida hill, south of Lisbon. Its mountainous environment and beaches makes it a good place for relaxation especially in one of the numerous bars and restaurants that offer an amazing view of the Sea while enjoying the best of seafood. 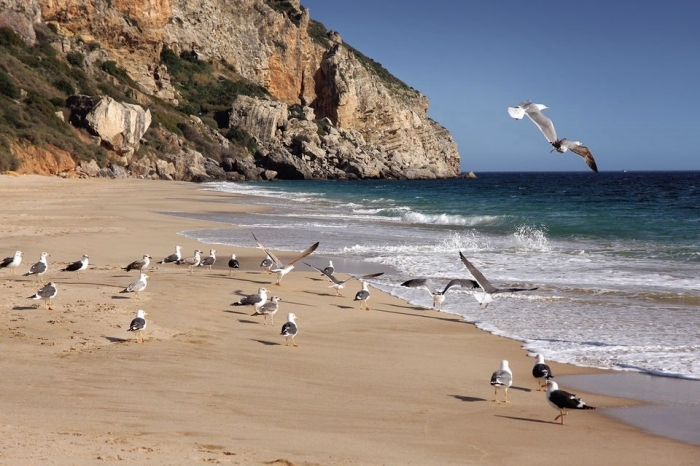 Sesimbra is a traditional fishing town that has been made centre for sport fishing since 1950 when Manuel Frade captured the first swordfish with a rod and reel – so expect the best deep see fishing experiences during your day trip from Lisbon offers. Take time out to visit the medieval Moorish castle built for beautiful experiences and explore its five towers and Romanesque wall that has stood for centuries. The 12th century church of Santa Maria offers a mind-blowing rural religious architectural structure decorated exquisitely with azulejo tiles – also take time out to visit the Misericordia church to observe the 15th century Nassa Senhorada Misericordia and the medieval statue of Our Lord of the Wounds. Sesimbra host many festivals all through the year including the Street theatre in February that decorates the town with much colours and glamour. Other places to visit on your day trip from Lisbon are; Natural Park of Arrabida, the Espichel Light house and the Cabo Espichel which offers amazing view of the sea. Obidos is a town in Oeste Subregion in Portugal. This fascinating town became the home of Portugal’s queen in 1200’s after Alonso II gifted it to Urraca of Leon his wife. It is a town renown for medieval architecture, with its walls, squares, streets standing as great points of attraction to the area. Your day trip from Lisbon to Obidos gives you the chance to play golf at one of Europe’s top golf resort, you also have a chance to make good purchases at the two weeks traditional market of the Obidos castle host if you are visiting in June. Take some time out on your day trip from Lisbon to visit the Obidos castle; the architectural masterpiece that is home to the queen and explore the perimeter of the Gothic walls that defends Obidos, walking through the west wall with sensational vineyards and orchard is an experience to be much remembered. Explore the best of art, culture and the history of the medieval town at the Obidos municipal museum that exhibits weapons from the peninsular war, a chronology of Obidos through the past years and findings from the excavated Roman city of Eurobritium. Some other must-visit locations on your Lisbon day trip are; Obidos Lagoon, Prota da Vila, Springs of the Queen and the Hexagonal Sanctuary. The city Setubal which is just 48km away from Lisbon hold lots of attraction that will give you that breathtaking experiences on your Lisbon day trip. It is a city that makes it earnings from the numerous fishing industries that line the region. The cool atmosphere from the sea coupled with surrounding mountains commands substantial amount of visitors annually. The main historical monument of the city is the Gothic Manuelino architectural masterpiece of “Monastery of Jesus” designed by Diogo de Boitaca in the 16th century. The interior of this building is beautifully designed with gargyles and Azulejo geometrically lined to captures your attention at the first glance – the exquisite ribbed vaulting in the choir is one view that will take your breath away. Take a day trip from Lisbon to Evora, a charming Portuguese town fortified by Moors. Its extensive history with the Romans have provided the town with different attractions, historical and monuments architecture, one of which is the Roman Temple. The Roman Temple of Evora called the Diana Temple is one of the town’s finest structures standing right at the Iberian Peninsula. The outstanding beauty of the temple with 15th century architecture design commands significant amount of visitors. 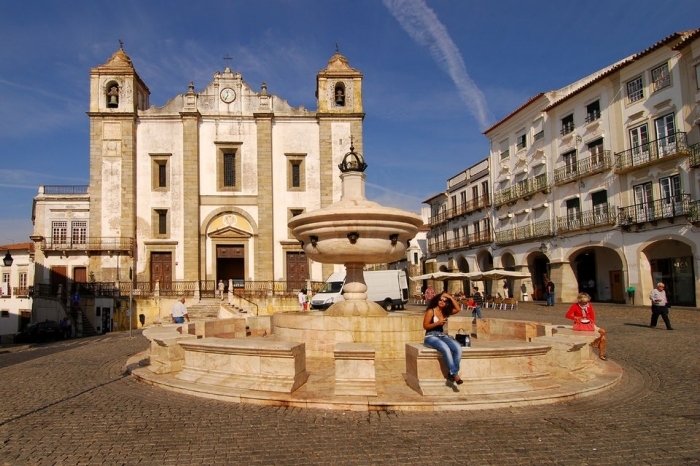 You can visit the city plaza of Evora and have the best view of the 16th century Gothic architecture that lined the arena including the simplistic Igreja de Santo Antao stand at one end of the square – this city plaza also called Praca do Giraldo in Portuguese is a perfect place you can relax for delicious food and drinks once the sun sets. The Bone chapel is also one of the must-see locations in Evora with its human skulls and bones being incorporated as one of the decorative elements on the walls. The Evora aqueduct is one location you must take time out to explore as the 9km long water system stretches to the nearest River to bring water into the city. The standing stones of Cromlech Almendres since 5,000 BC and the museum of Evora are also some places that you should visit on you day trip from Lisbon. Consider taking a day trip from Lisbon to Aveiro, a maritime city with lagoon at its shores. The ity’s architecture that we now see was influenced by two phases; the pre kingdom era and the modernist monuments. Its main point of attraction is the Monastery of Jesus that was built in 15th century, the monastery contains the tomb of King Alonso and St. Joana his daughter who died in 1490. You can be guaranteed of a splendid time out during your day trip from Lisbon as the numerous delicacies served at the restaurants are surely a worthwhile experience for any lover of good food. Make sure you don’t miss out on the Ria de Aveiro experience –Ria is the river mouth of the Vouga river and is very rich in fish and aquatic organisms. You can take a trip on this waters using a gondola-shaped boat and have a nice time with the beautiful scenery and admirable surroundings. 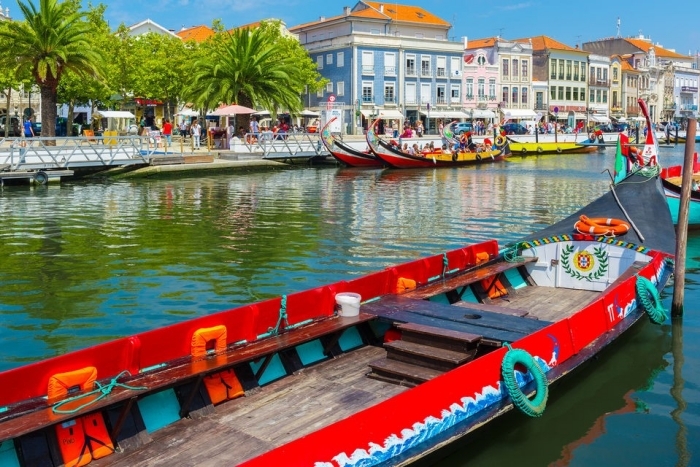 There are so many attractions in Aveiro which are a must visit for tourists that will be of great and impactful experiences on your Lisbon day trip, some of which are; Rossio area, forum aveiro, old train station, the picturesque Costa Nova, Praia da barra, Aveiro canals and Museum de Aveiro. The amazing coast of the town of Caiscais is enough attraction already to get you off the bustling city of Lisbon. The town which is just about 40 minutes by train is the perfect location for day trip from Lisbon experience. The old town is filled with old patterned houses, boutiques and cafés of different architectural styles and structures from centuries past. This old town is made up of attractive street clusters that will make good for evening walk –museums and galleries are there to give you the cultural and artistic history of the town. There are different beautiful beaches around for different purposes ranging from surfing to family relaxation. The entire shores of Caiscais is lined with different attractions that gets Lisboetas and international tourist to this beautiful town especially on a weekend getaway. Your day trip from Lisbon promises to be an interesting tour as you explore the museum of arts and galleries designed by Luigi Magnini. It is full of many mind-blowing architectural and decorative features and an amazing view of the sea. Other places to visit on your day trip from Lisbon are; Casa de Santa Maria, Casa das Historias – Paua Rego, Caiscais cultural centre, cidadela art district. You can also dash into one of the clustered boutiques and gift shops selling Portuguese art and craft as well as colorful eclectic ceramicarte along Largo da Assuncao for a good purchases.